There is an oversight that a lot of car enthusiasts suffer from. What we’re talking about here is folks that go to great lengths in protecting their original factory paint, but forget to do something about the car’s headlights. 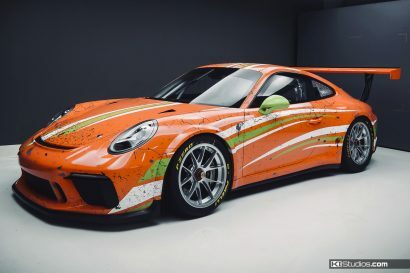 See, the first thing that many new sports and exotic car owners do is have paint protection film installed in order to preserve the factory paint. However, most don’t even think about the headlights. Luckily these days, many PPF packages already include headlight protection film. That said, some don’t — Especially factory or dealer PPF packages. Even if your car doesn’t have PPF, it’s wise to add protection to your headlights. This applies to older cars too. Headlight plastic is actually softer than paint. It’s also the first to suffer the effects of UV radiation. Headlights are repairable though. If you have an older car and go through the trouble of restoring your headlights, this would be a good time to add PPF in order to make sure they don’t start getting yellow again immediately. 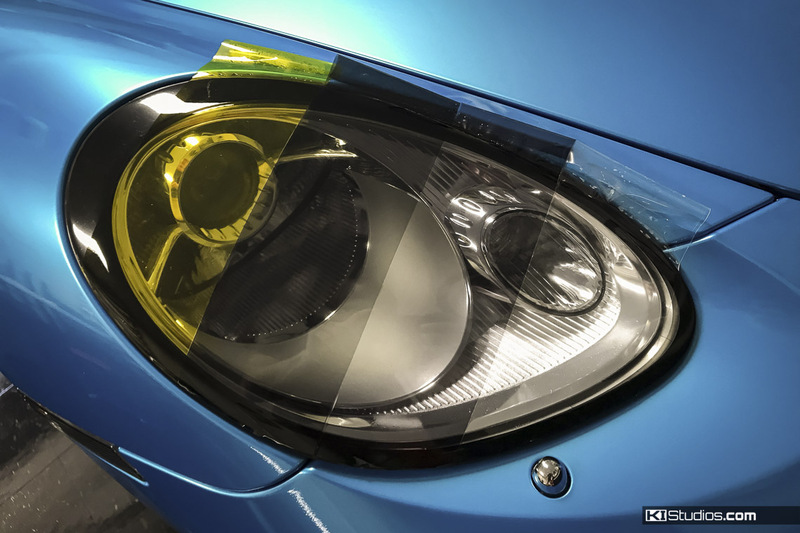 Even though we’ve mentioned the term PPF and paint protection film numerous times already, the aim here is to protect your headlights… which are of course, not painted. So technically the name PPF does not directly apply to headlights. However, the protection the film offers is very similar to that of PPF. Let’s go ahead and call it headlight protection film from now on. Headlight surface area is rather small. This makes the cost of protecting them with film very low — Pretty much a no-brainer. Furthermore, the small size of headlights and the film itself makes it so that it can actually be a DIY project. It doesn’t mean it will be easy, but unlike an entire hood that really should only be done by a pro, DIY headlight protection film installation is actually doable. 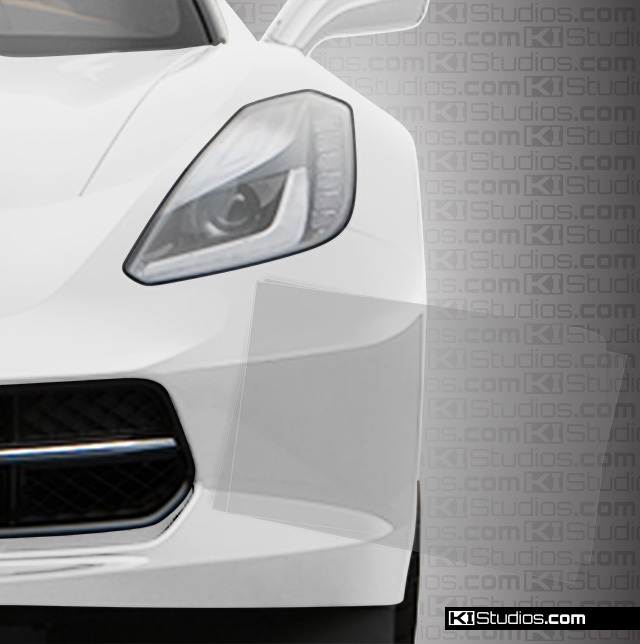 Headlight protection film saves your headlights from pitting as a result of rock impacts. It protects the surface from scratches and scuffs as well. The reason for this is that the headlight film is self-healing. Any small scratches that might occur to the film itself simple heal thanks to the sun’s heat. 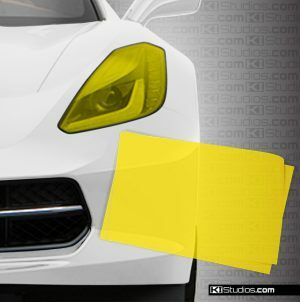 Additionally, the film offers some UV filtering which in the end also helps slow down the process at which the plastic on the headlights turns yellow. This means that using headlight protection film doesn’t have to end in function… it can be a styling tool as well. If you want to achieve that motorsport-inspired look that yellow headlights offer, this is your ticket. 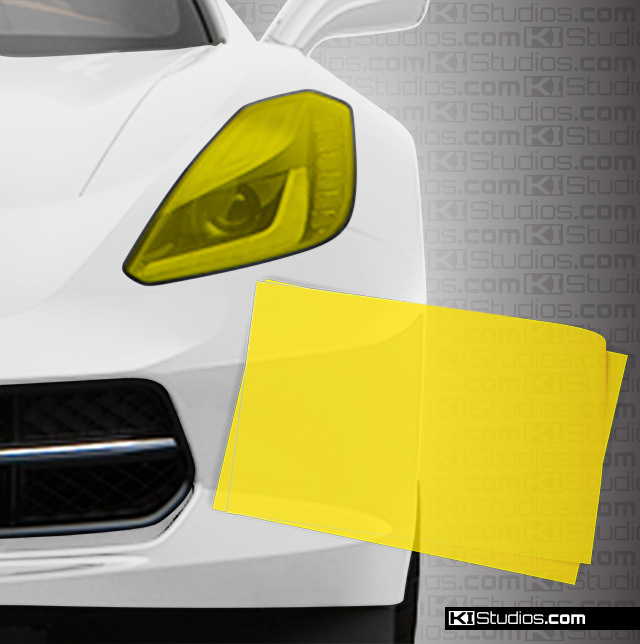 What’s more is that KI Studio’s yellow headlight film is truly yellow. The film offers the same protection and self-healing qualities, but with a true-yellow tint. We emphasize this point because there is some popular yellow headlight film on the market that actually looks a bit greenish. Ours doesn’t. Of course you could also opt for a light smoke or a dark smoke tint. Check out the attached pictures for a comparison. The above kits allow for easy installing with little to no trimming needed. Additionally, we sell Universal Bulk Headlight Film Kits that allow you to install the film on many other vehicles. You just have to trim around it after installing. 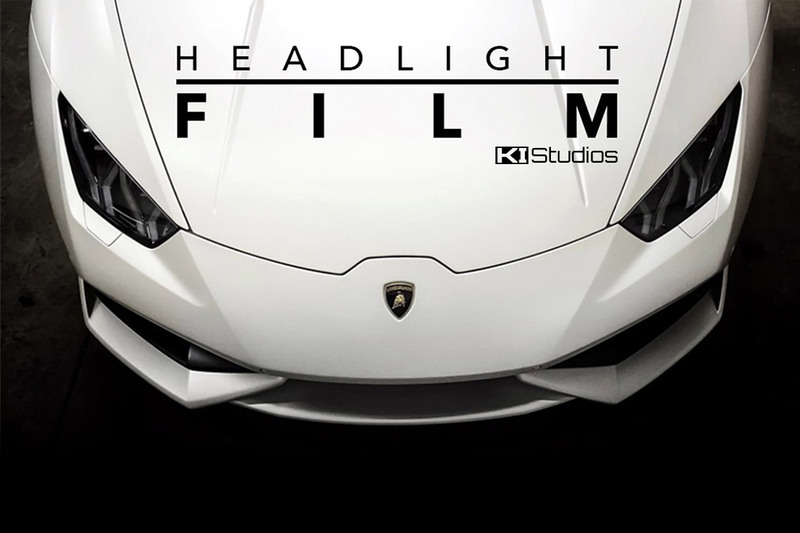 Given that we will continue adding car models for with headlight protection film will be available pre-cut, be sure to keep an eye on the Headlight Film category of our shop for all the models available. Given the nature of this product, we definitely can’t close this post without some disclaimers. Clear headlight protection film is invisible. The clear version offers no problems in terms of legality. Needless to say, tinted headlight film can be illegal in some locations. Some places allow for yellow headlights but no smoke tint. Some locations don’t allow either. Yet, some locations are pretty nonchalant about the entire topic and you can get away with just about anything. It is your responsibility to check your local laws and ordinances before you go install tinted headlight trim on your headlights. Don’t go getting into trouble now. 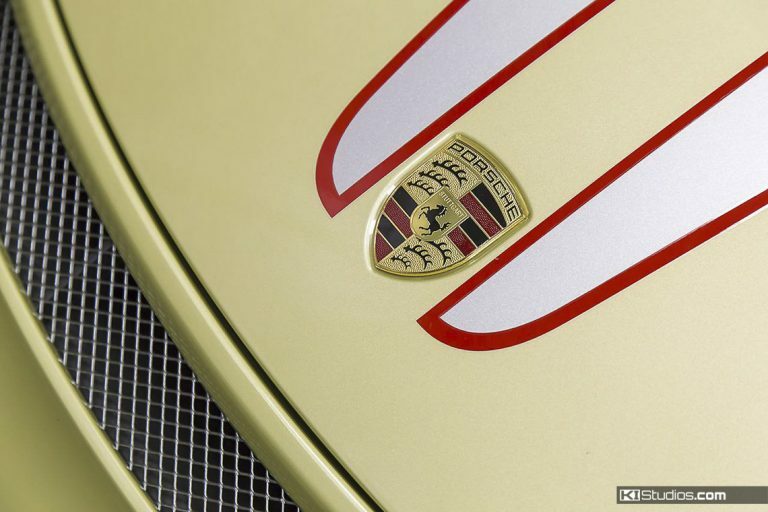 Porsche does not recommend putting paint protection film on their headlights. This is specially true for 991 headlights because they are so round and require so much stretch to cover the whole surface. 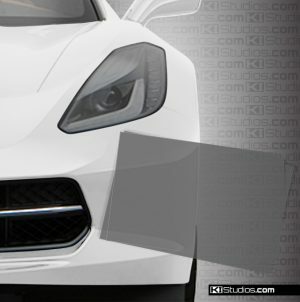 The headlights have a reputation for delaminating and the stretch needed to apply film over their surface could potentially lift the factory clear coat. That said, some see driving the car on the track without protection as a bigger risk. That is up to you to decide. We don’t offer headlight protection film specifically for Porsches. You could always buy some of our bulk headlight protection film and do it at your own risk. Professional installation is recommended, as they are more difficult than most vehicles headlights. That’s it for disclaimers. Now it’s up to you to decide which KI Studios headlight protection film is right for you. 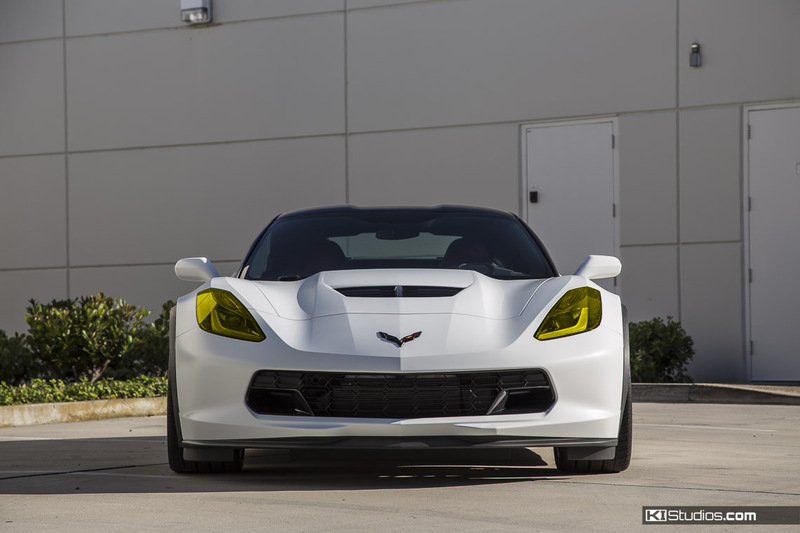 Clear no-nonsense protection… or add some flavor and go for tint or a yellow motorsport look? Up to you.